With the rapid development of advanced technologies in electronics industry, the demand for portable electronics, shaped display devices and wearable electronic textiles is ever increasing. Flexible solar cells are thereby receiving more and more attention for their favorable traits including flexibility, light weight, portability and compatiblity with curved surfaces. Mass production of flexible solar cells can be achieved by continuous roll-to-roll technology. Therefore, research on flexible perovskite solar cells has been accelerated, and the research field mainly focuses on how to improve efficiency, increase active area, reduce cost, make low-temperature preparation, and realize mass production. A research group led by Prof. LIU Shengzhong from the Dalian Institute of Chemical Physics (DICP) of the Chinese Academy of Sciences achieved a series of innovations in perovskite solar cells, and repetitiously created an efficiency of world record for flexible, rigid planar-type and two-dimensional perovskite solar cells. Recently, LIU's group, in collaboration with Prof. YANG Dong’s group from Shaanxi Normal University, published a review article on providing a comprehensive summary of the prior art with perspective discussion on application cost, potential opportunities and challenges in flexible perovskite solar cells. "We introduced and discussed the low-temperature fabrication technology for perovskite films as well as their advantages and disadvantages. And described the low-temperature interface materials (including electron and hole transport materials) applied in flexible perovskite solar cells in this review," said Prof. LIU. 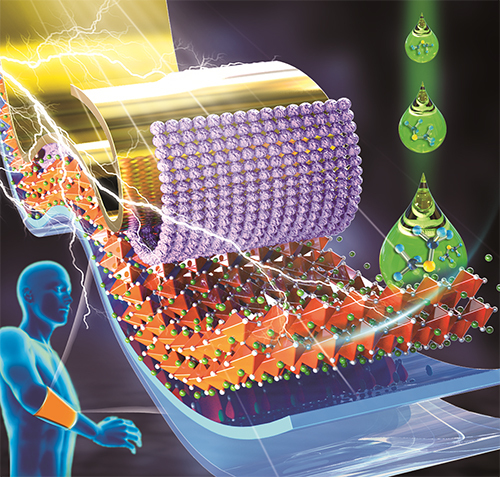 Moreover, the review summarized the important development of various flexible electrodes in flexible perovskite solar cells, concluded the environmental and mechanical stability of flexible perovskite solar cells, and analyzed how to employ flexible encapsulation to improve environmental stability. The flexible perovskite solar cells applied in portable electronic devices was prospected, and the cost of flexible perovskite solar cells fabricated by vacuum roll-to-roll technology was estimated. 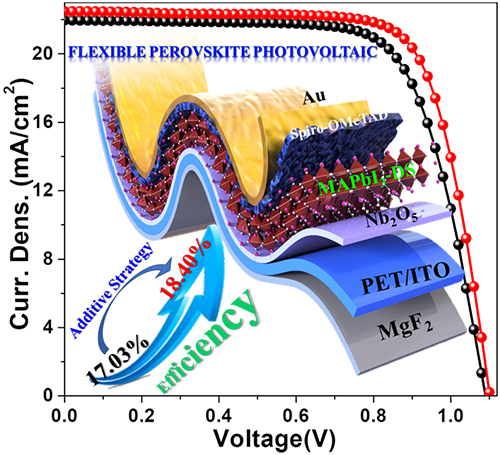 This review highlighted the opportunities and challenges of flexible perovskite solar cells. The review entitled "Recent Advanced in Flexible Perovskite Solar Cell: Fabrication and Application" was published in Angew. Chem. Int. Ed. The project was supported by the National Key Research and Development Program of China, National Natural Science Foundation of China, National University Research Fund and the 111 Project.